If you know me, you know that Pokemon is one of my all-time favorite go-to games. And word has it that Nintendo has updated a side Pokemon game that I, ironically, started playing again. 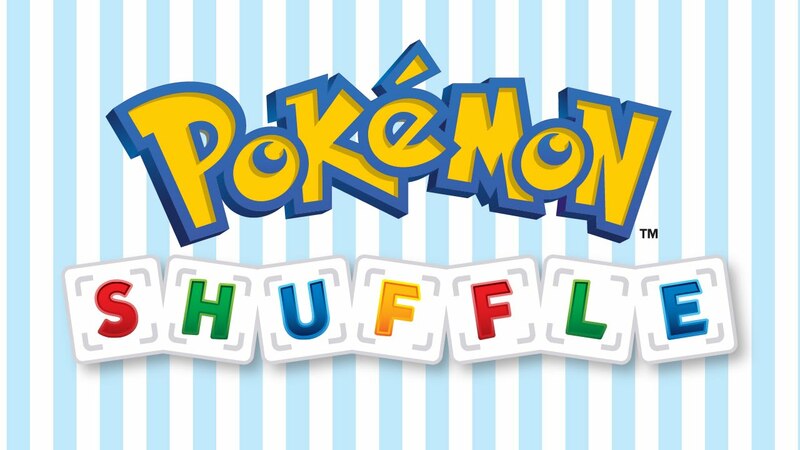 Pokemon Shuffle released in February 2015 for the iOS, Android, or the Nintendo eShop on your 3DS. The best part about it is that it’s free.It’s a similar to Bejeweled. The main difference is that it ties in the Pokemon with their types and moves. Each level is a battle and, if you defeat the Pokemon, you get a chance to catch it. It’s a similar to Bejeweled. The main difference is that it ties in the Pokemon with their types and moves. Each level is a battle and, if you defeat the Pokemon, you get a chance to catch it. I enjoy the game a lot, having it on my 3DS, though I go in spurts playing it. I recently took it back up again a couple weeks ago while I was waiting for Kris to finish some work so that we could play a game together. Apparently, now the Alolan Pokemon will be making their appearance on the game. I’m excited for this, especially because I didn’t even think about the latest generation when I started playing again. I forgot that the was game was “outdated” for the new Pokemon. Of course, I’ve still barely made a dent in my Pokedex for that game, so adding more is just going to set me back, but it’s fun all the same. There are special events to catch the starters, Litten, Popplio, and Rowlet, and there’s also a special event for Alolan Vulpix to join your team. Litten is available through May 9, Popplio May 9 through the 23, and Rowlet May 23 through June 6. Vulpix will be available from May 2 through May 30. Do you play Pokemon Shuffle? Are you excited for the addition? Let me know in the comments below! I played Pokemon Shuffle for a little long, but I didn’t like the free-to-play mechanics. I might go back for these Alolan Pokemon though. Adding a new generation works wonders for Pokemon’s numerous game series! They actually changed the game a bit. I got annoyed with having only 5 hearts and stopped for a while. But when I went back on it, I kept getting “free gifts” that were 30 hearts. So I had over 60 hearts and I still haven’t used them all. Hopefully that’s a recurring thing, though. Haha, actually, I think I also ended up with something like 99 hearts before I stopped. But I just didn’t get around to playing more because I think I got stuck at a level. Maybe those 99 hearts will help me for those Alolan starters! I’ve gotten stuck on quite a few levels myself. That’s why I originally stopped. I couldn’t beat the mega Glalie for the life of me.